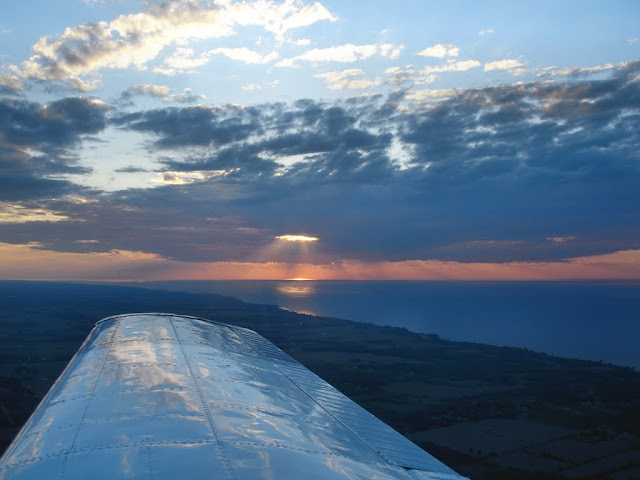 During my time in Michigan, nothing would relax me more than cruising above the sandy beaches of Lake Michigan in the still evening air. 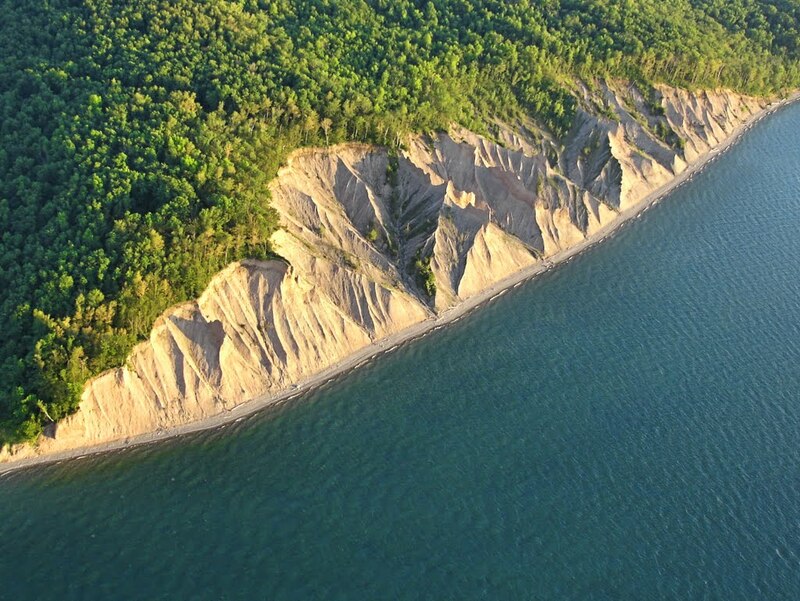 The Lake Ontario shoreline lacks the sandy beaches of Lake Michigan, but it does have its own charm. Just east of Sodus Bay is Chimney Bluffs, a rather unique geological feature. 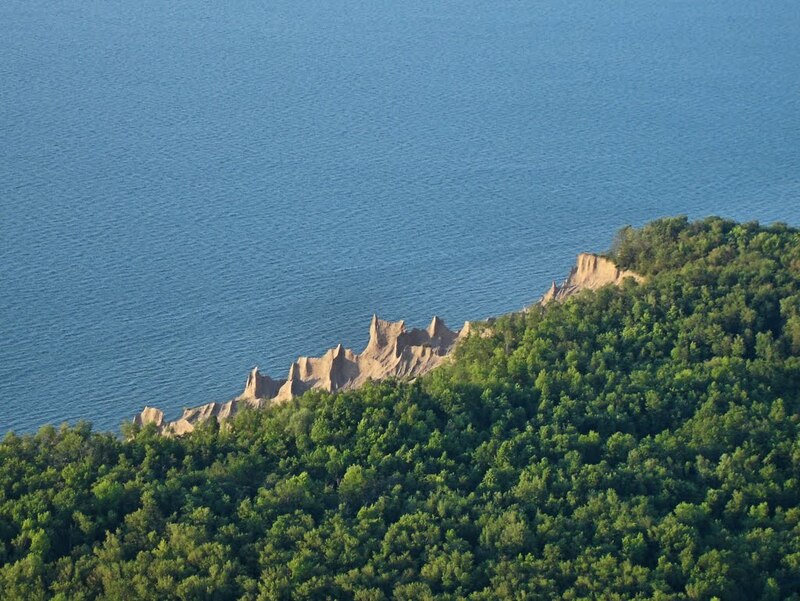 Chimney Bluffs viewed from the lake side. This tranquil scene of Sodus Bay near dusk is one of my favorite photos. Whenever I look at it, I feel the tension release from my shoulders. 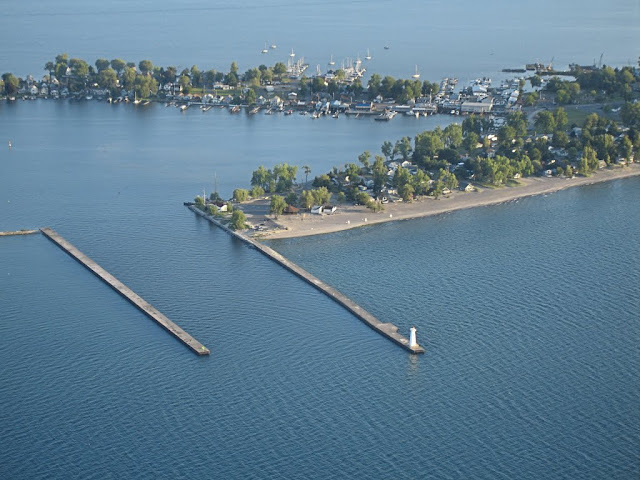 I descended lower over the water and circled the channel outlet from Sodus Bay into Lake Ontario. 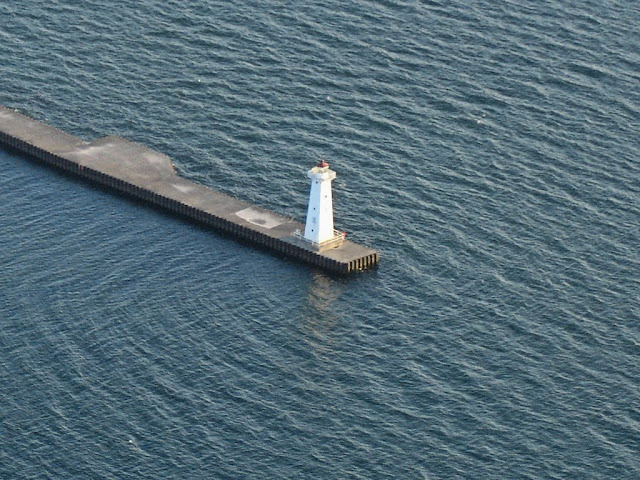 A tidy little lighthouse presides over the end of the pier. After circling the pier, I flew west and contacted Rochester approach for passage through their Charlie airspace. 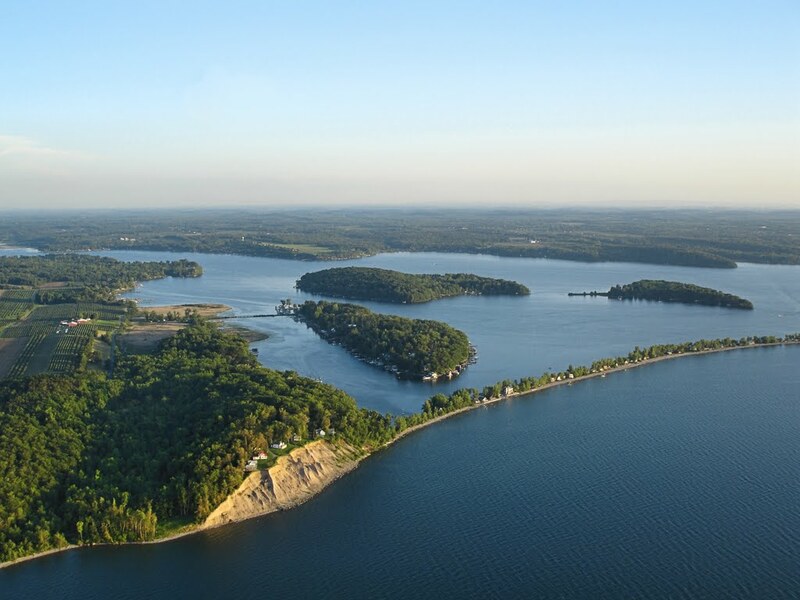 Once west of Rochester, I turned inland for Le Roy. Looking over my right shoulder, I observed the setting sun to momentarily align with a hole in the clouds, casting a searchlight onto the surface of Lake Ontario.